Great Panther Silver (TSX:GPR,NYSEAMERICAN:GPL) increased its measured and indicated mineral resource by 28 percent at the Topia mine, in Mexico, the miner announced on Tuesday (January 29). Through an updated mineral resource estimate, the company reported that it added nearly 15 million ounces of silver equivalent at the Topia asset. “The company was able to increase the resources even after mine depletion over the past four years,” stated James Bannantine, president and CEO of Great Panther. “This update provides for a long mine life at Topia and supports the planned increase in processing capacity which is expected to increase 2019 production by approximately 25 percent,” he added. Since the miner released the last report four years ago, the measured and indicated mineral resource increased to 475,900 tonnes, grading 461 grams per tonne (g/t) silver, 1.35 g/t gold and 3.87 percent zinc, containing 14.77 million ounces of silver equivalent. However, the inferred mineral resources decreased by 3 percent over the same period, to 400,400 tonnes, grading 434 g/t silver, 1.34 g/t gold, 2.86 percent lead and 2.97 percent zinc, containing 10.72 million ounces of silver equivalent. Great Panther also reported that production since the estimate in 2014 totalled 221,600 tonnes, with average grades of 357 g/t silver, 0.67 g/t gold, 2.27 percent lead and 3.03 percent zinc, containing 4.840 million ounces of silver equivalent. The updated report was derived from core drilling and underground sampling along mine development, with certain portions of the estimate derived from verified pre-existing underground sampling. Analysis of the underground mine samples were completed at the on-site Topia mine laboratory, while analysis of the drill-core was independently performed at Great Panther’s Guanajuato mine complex laboratory. Looking forward, Bannantine said the conversion of inferred resources and further exploration potential provide a good opportunity to further extend mine life. 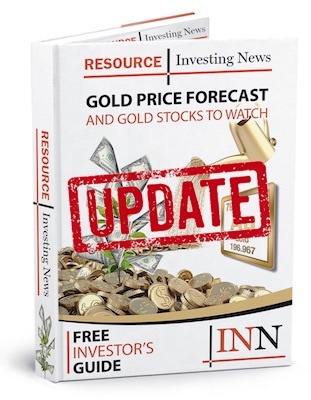 The positive results from the updated resource estimate comes shortly after the miner successfully acquired gold producer Beadell Resources (ASX:BDR) in September, through a scheme implementation deed worth US$105 million. Under the terms of the deal, Beadell shareholders will receive 0.0619 common shares of Great Panther for each ordinary share of Beadell, valued at approximately AU$0.086 a share. This will result in approximately 103.6 million Great Panther shares being issued. As of 2:58 p.m. EST on Wednesday, Great Panther was up 1.05 percent, trading at C$0.96.